Proper heating is an essential component of Athletic Preparation, also for the Sports Horse. Get it with natural, non-invasive and physiologically compatible methods, dramatically improves racing performance and allows for optimal and fast recovery of fitness. All this is transformed in greater physical well-being and therefore more respect and less risk of undesirable pathological implications. Equal attention should be paid to the Post Race Phase, when the Athletic Horse body needs to absorb the extraordinary effort and return to normal physiological rhythms. The crucial points, we know, are joints and tendons. 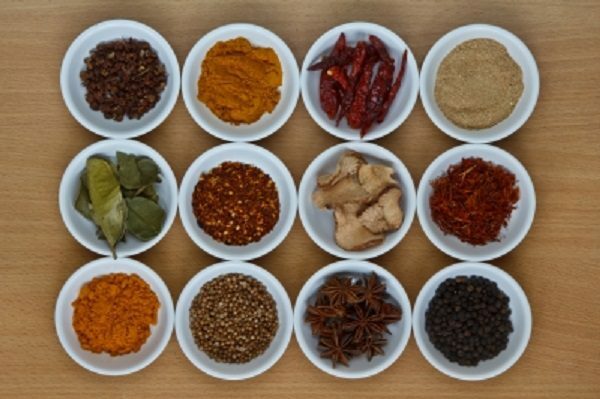 Using products that accompany recovery at this delicate stage means limiting the risks of damage, enhancing the well-being and vitality of our wealthy person to ensure that the overall experience of the competition is not associated with pain or stress but is an exciting and adrenalinic moment as it is for us. 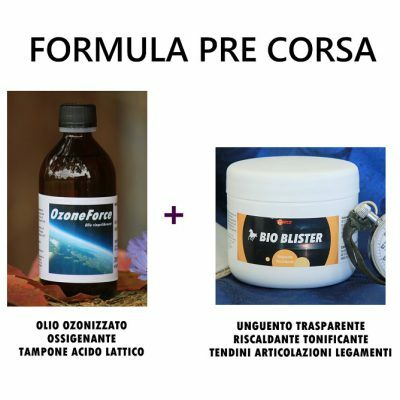 Buy now the Combination 1 BioBlister + 1 RedBlister at 97 € (instead of 121 €) and save 24 €. 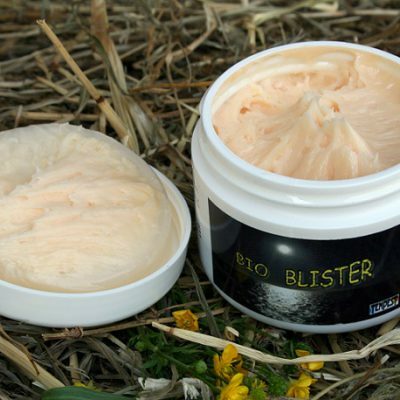 BioBlister: it is the Ideal Natural Ointment for Pre-Race Athletics Training. Thanks to the Revitalizing Phytoderivate ingredients, it improves the joints and muscles, producing a natural warming and toning effect. Without any interference with toxic, doping or obsolete or poor ingredients such as Vaseline, Bio Blister is a Transparent, Lightweight and Practical Ointment, but Rich in Rubeflowing and Firming Properties that helps your horse to give the best at the time of the race, In an absolutely natural and physiological way. 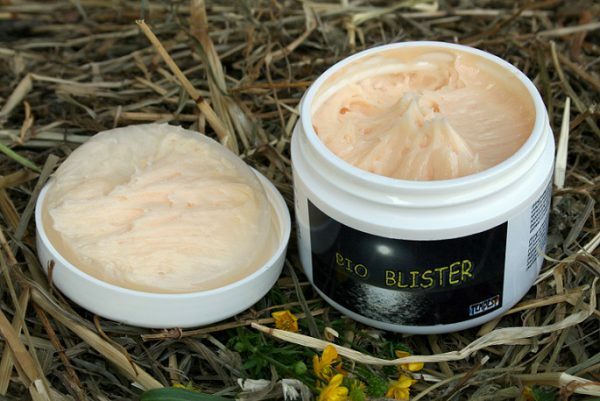 To find out more, go to the Bio Blister Page. RED BLISTER: it is a rubefacient ointment born from a long experience of traditional treatments that has revolutionized the concept of revulsive. 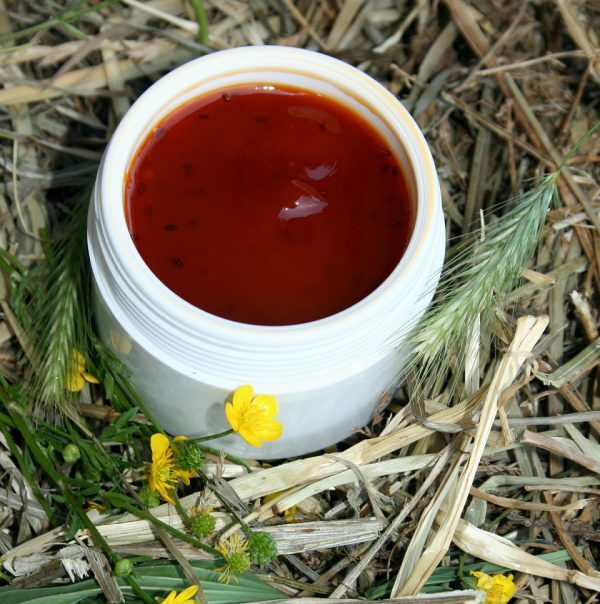 Red Blister, in the new formula without capsicum, is the ideal ointment in the Athletic Horse Race Post Recovery Phases. 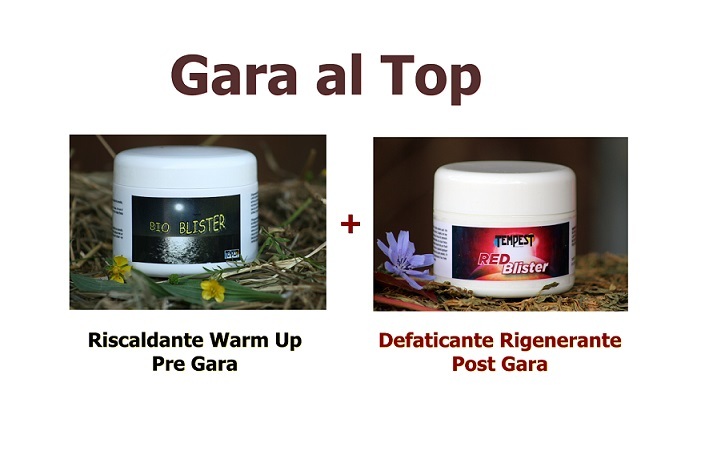 Also useful in the absence of particular problems to accompany the horse’s metabolism to recover quickly and harmoniously the energy consumed in the race, it is also ideal to absorb any swelling or tension due to the important effort.